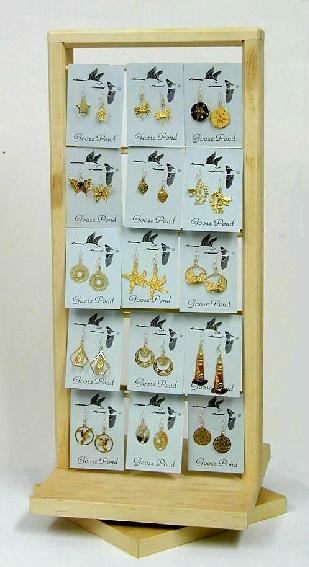 Our jewelry packages include this double-sided handmade hardwood swivel earring rack. 10" x 10" x 18"
This rack takes up little space, but holds 30 Goose Pond lipped earring or necklace cards on wooden dowel cross bars. Or get this rack FREE when you order 40 pairs. One package per customer, please. many 3 dimensional or with moving parts. 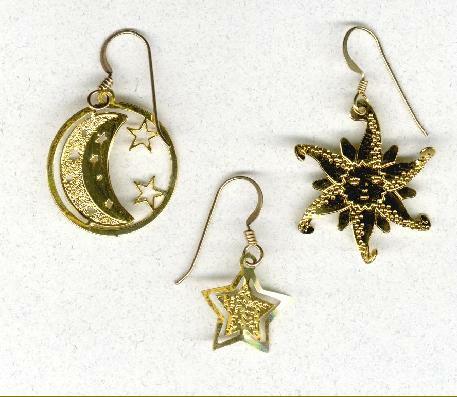 Each comes with its own decorative hook. Whl price range $6.50 to $10. Ask about our ornament display options.